From the author of the award-winning million-copy bestseller This is Going to Hurt. Join Adam Kay in a countdown to the festive season, as he shares further secrets from his junior doctor diaries and shines a light on the unsung heroes of the NHS front line. 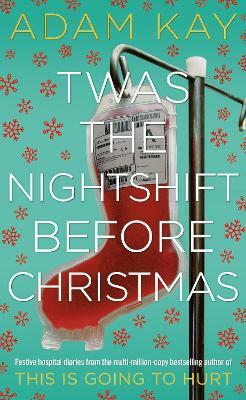 Hilarious, poignant and eye-opening, this is the real story of life on the hospital ward at the most wonderful - and challenging - time of the year. Adam Kay is an award-winning comedian and writer for TV and film and the million-copy bestselling author of This is Going to Hurt. He previously worked as a junior doctor, although you've probably worked that bit out already. He lives in west London.